If you live in Tennessee, then you live in one of a handful of states that collects a state death tax. The estates of Tennessee residents who died in 2013, as well as the estates of nonresidents who own real estate and/or tangible personal property located in Tennessee, are subject to a state death tax under the following guidelines. While the Tennessee death tax is referred to as an "inheritance tax" in the Tennessee legislative code, it is really an estate tax since it is collected based on the value of the overall estate located in Tennessee (hence, a true "estate tax"); it is not a tax that is collected based on who actually inherits the estate located in Tennessee (a true "inheritance tax"). Interestingly enough, the Tennessee legislative code also provides for an "estate tax," which is actually a type of "pick up tax" that was tied to the amount of federal estate tax that was collected from the estates of decedents who died before 2005. Since the Tennessee legislative code refers to both an inheritance tax and an estate tax, this article refers to the death tax that is currently collected under Tennessee law as an "inheritance tax," even though the tax is assessed against the assets located in Tennessee and not against the individual beneficiaries who inherit the estate. When Is an Estate Subject to the Tennessee Inheritance Tax in 2013? For Tennessee residents, an estate may be subject to the Tennessee inheritance tax if the total gross estate exceeds $1,250,000. For nonresidents of Tennessee, an estate may be subject to the Tennessee inheritance tax if it includes real estate and/or tangible personal property having a situs within the state of Tennessee and the gross estate exceeds $1,250,000. Note: In May 2012, legislation was enacted which will phase out the Tennessee inheritance tax by 2016. See more on this below in the section titled "What is the future of the Tennessee inheritance tax?" What Tennessee Inheritance Tax Forms Must Be Filed? All estates with a gross value that exceeds $1,250,000 must file a Tennessee inheritance tax return, Form INH-301, even if no Tennessee inheritance tax will be due as a result of applicable deductions and exemptions. Outright transfers to a surviving spouse are not taxable. For married couples who have used AB Trust planning to reduce their federal estate tax bill, a Tennessee inheritance tax may be due on the B Trust after the first spouse's death if there is a gap between the Tennessee inheritance tax exemption and the federal estate tax exemption. 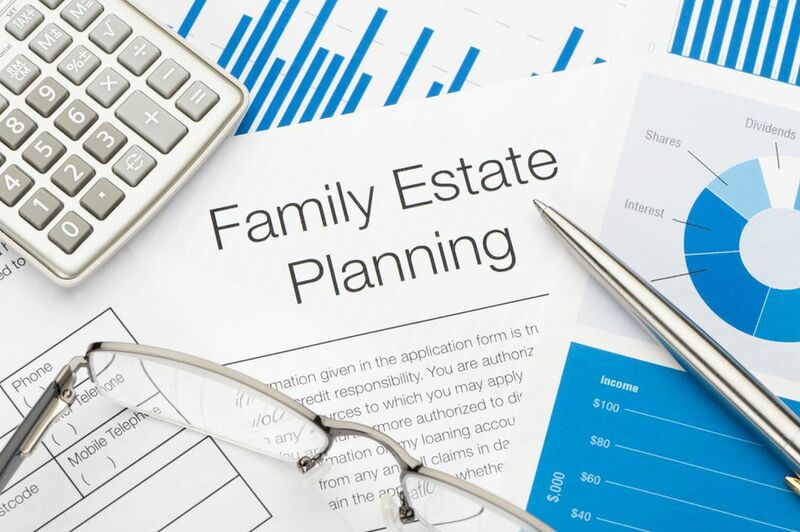 Nonetheless, a married decedent's estate can make an election on Form INH-301 to treat the ​property as marital deduction qualified terminable interest property ("QTIP") for purposes of calculating the Tennessee inheritance tax. Thus, married Tennessee residents can defer payment of both Tennessee and federal death taxes until after the death of the surviving spouse using ABC Trust planning. When Are the Tennessee Inheritance Tax Return and Tax Payment Due? Form INH-301 must be filed and any inheritance tax due must be paid within nine months after the decedent's date of death unless an extension of time to file the return and pay the tax is granted. An extension of time to file Form INH-301 may be requested for up to one year by filing Form INH-304, Application for Extension of Time to File Inheritance Tax Return. Nonetheless, even if an extension is granted, it will not delay the time for payment of any inheritance tax that may be due. Where Is the Tennessee Inheritance Tax Return Filed? What are the Tennessee inheritance tax rates? Where Can I Find Additional Information About Tennessee Inheritance Taxes? For more information about Tennessee inheritance taxes and estate taxes, refer to the Tennessee Department of Revenue's Inheritance Tax webpage, Guide to Tennessee Inheritance and Estate Taxes, and Inheritance Tax Guide. For assistance with Form INH-301 and Tennessee inheritance tax questions, call the Tennessee Department of Revenue toll-free (in-state only) at 800-342-1003 or 615-253-0600. For information about the rules that apply to the estates of decedents who died in 2012 and prior years, refer to Overview of Tennessee Inheritance Tax Laws for 2012 and Prior Years. What Is the Future of the Tennessee Inheritance Tax?